Save on Search Engine Optimization throughout the month of August! Includes 5 hours of optimization of your website which increases your ranking and overall presence on the web.Get found faster and ranked higher by Google, Bing, and Yahoo!. Includes 7 hours of optimization of your website which increases your ranking and overall presence on the web. Get found faster and ranked higher by Google, Bing, and Yahoo!. Paid-for advertising for Google search engines and their partnered websites. We create and manage your Google Adwords account and optimize your advertisements to suit your budget. Does not include your actual budget for ads. 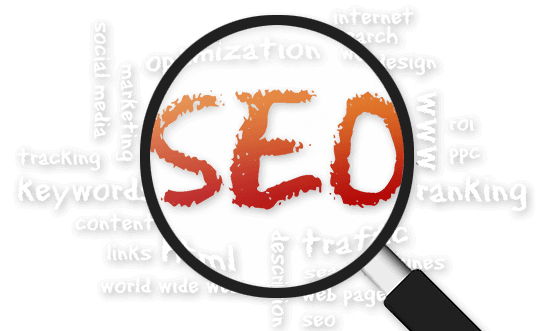 Search Engine Optimization (SEO) is a vital part of the web design process. Without it, even the best websites will never be found amongst the hundreds of search results. SEO is a process of considering what criteria search engines use to categorize results in order to make your page more visible in an online search. Making your website search-engine optimized gives you a visible return on your investment, as customers are able to find your business among the competition with greater ease. Depending on your audience, we can build your website with keyword-enriched text to get you noticed locally or we can utilize social media tools to help your business compete with the bigger names. Our programmers offer affordable SEO on your company’s website to help ensure that your small or large business is noticed earlier by the search engines and by potential customers. Social media platforms that we can utilize for you include Facebook, Twitter, LinkedIn, Pinterest, blogs, and more.